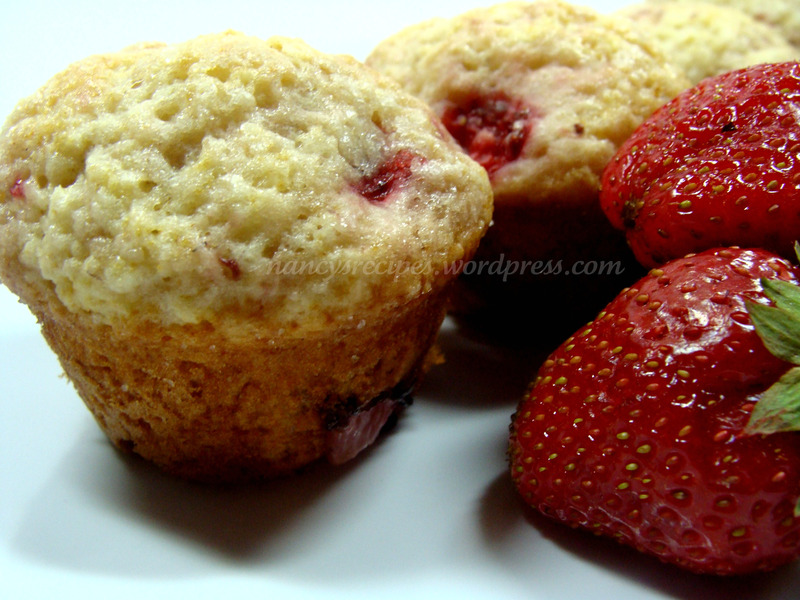 Hands down the most popular recipe on my blog is Fresh Strawberry Muffins. This recipe for mini muffins is different but just as good. It’s very easy to make. I used the strawberries from my first CSA pick-up. The berries were super sweet and worked really well in this recipe since there isn’t much sugar. The recipe said it made 36 but I didn’t make nearly that many ~ about 22 or so. Heat oven to 375º and spray 36 mini muffin cups with cooking spray. In a large bowl, mix the flour, sugar, baking powder and salt. In another smaller bowl, mix the milk, oil, and egg. Add wet mixture to dry, stirring just enough to mix it together. Do not over mix or the muffins will be tough. Gently fold in the chopped strawberries. Divide mixture up between the muffin cups and sprinkle sugar over the tops of the muffins. Bake for 12 to 16 minutes (mine took the whole 16 minutes) or until a toothpick inserted in the middle comes out clean. Cool in the pan for 3 minutes and then remove from pan to a rack to continue cooling or eat them while warm. Makes 36 muffins although I made considerably less. Made this recipe to a tee and my muffins didnt rise at all and were dense. The batter looked like cookie batter. Help! No problem at all! It does seem like alot of baking powder. If I’m unsure of a measurement, I usually compare it to another recipe, too. Using 2 tsps would work but they wouldn’t rise as much but still be perfectly good. Let me know what you go with and if it works, I’ll add that to the recipe so others will know as well 🙂 have a great weekend!